IPal Baby is a new app, which uses the same ideas as the old Tamagotchi game, where you take care of a cute baby instead of an unknown pet. 6 beautiful characters are waiting for you. Choose any character, set up a name for him or her and get started. A short training provides more information on how to play and then hop on board for an exciting game. • Watch the baby! Observe his/her health and happiness indicators, do not let them fall. • Take care of them! Your child needs your attention. Feed him, change their diaper, buy new toys and play together. • Watch the child and his pranks! Give the baby freedom of choice, but don’t forget about possible injuries. • Have fun with the baby! Buy more toys! • Complete numerous quests! Gain experience and receive game currency – BabyCoins – for each task. • Be stylish! Choose clothes, shoes and accessories. Let your baby be the most fashionable. • Decorate locations to your taste! Be an interior designer. • Check your reaction – send the child into space to collect the stars. 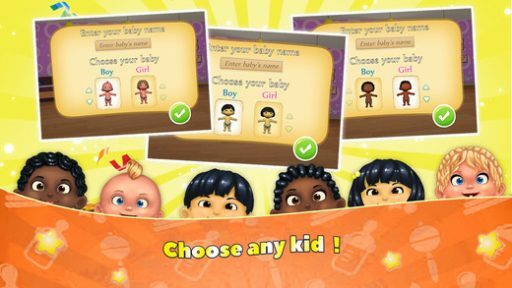 Start the app and choose your baby name for your girl or boy. The very next screen are the parents of this new baby, waving goodbye, saying they are leaving so please sit with the baby and take care of them. The instructions state you must perform the tasks sent to you and if completed, get a reward. Performing tasks will increase your experience, and new levels will be unlocked. First the tutorial helps you practice, meet the baby and stroke him. Patting the baby shows him love and makes the baby happy. Interest the baby by directing him to the window for entertainment. Of course diaper changing is a must and is signified by an illustrated smelly cloud coming from the baby. The cloud icon on the right indicates that baby needs something and then you can meet its needs by buying supplies and toys from the store, or taking it to a different room, etc. Just like the Tamagotchi, there are indicators that will show when baby is happy, healthy, hungry or low on energy. Take the baby to different rooms of the house like the kitchen for feeding time, bedroom for play and sleep and even the garage. 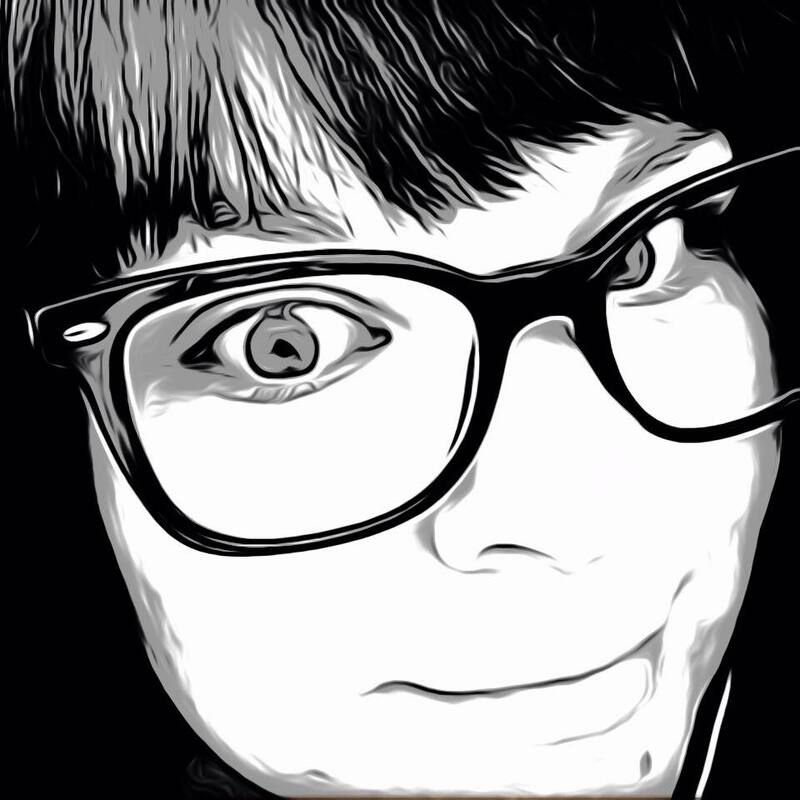 This is app is definitely more involved than any digital creature you have taken care of in the past. In a way, you do learn what it takes to be a child’s caregiver, though the actions are a bit cumbersome. At the beginning you definitely need more supplies, and have to buy everything, but have no coins to buy with. As you play, you earn stars for experience and each level opens new available items in the shop to please the baby. Everything in the shop is bought with Babycoins, and if you get low, you can earn more by playing mini-games like a memory or space adventure game. You can also buy them through an in-app purchase. The app does have ads sprinkled throughout, but they are never in the way. Just be prepared for that baby to notify you throughout the day for attention, so keep your phone nearby. iPal Baby – Virtual Baby Childcare Simulator Free addresses the common needs and actions for taking care of a child in an entertaining way, without the actual dirty diapers. The app is available now in the App Store for free and is designed for iPhone and iPad. Well I am very excited to let you know that the newest app, iPal Baby is now available in the iTunes App Store for download (get your Free Download Here – https://itunes.apple.com/us/app/ipal-baby-virtual-baby-childcare-simulator-free/id1211754164?ls=1&mt=8). The plan now is to more forward with a project to build on the app for more versions, increase functionality, marketing, promotion and more. In order to do this, I am asking each of you, my friends for your support through a Kickstarter crowdfunding project http://kck.st/2oI5GAs.